Located in a very special place in Chacras de Coria, only a few steps from the main square, where most of restaurants and cafes are also located. Our small hotel is quiet and peaceful, full of art, fine hancrafts and beautiful gardens, all constructed around the antique adobe house, originally built in 1907. We restored it with love and care, using the original construction materials. 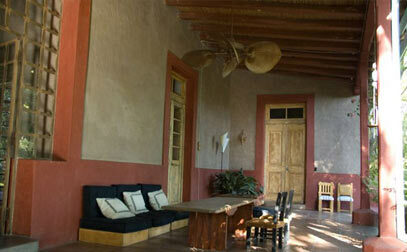 In the middle of the Mendozan desert we have created this cozy little oasis for the enjoyment of all our guests.